So how do I get a Credit Card? If you’ve had trouble previously with getting your credit card application approved, try to understand what the reasons were in the first place. An unsuccessful loan application means there’s a good cause. It could be your financial history is too short or may even be erratic, low income or a bad credit rating. Banks want to know your credit status before they approve a credit card, and your credit history may reveal bankruptcy or court judgments and details of overdue accounts. How do I get a Credit Card? Your income Plays an Important part. If your credit is bad, it means that lenders have had problems with the way you pay. Also, some lenders won’t approve you if your income is below what they stipulate. Student credit cards may only require you to have an allowance of R800, while other cards need at least R4000 before they consider you. Some lenders will want you to make a much higher salary such as R25 000. Nothing affects your ability to get a credit card as much as your credit score. It’s a fact, that credit-active consumers in SA have poor credit scores. It is important to make sure you pay your account in full and on time to boost your credit score. If you pay even one day later, that counts as a late payment. How Do I Get a Credit Card? Well, how did you Score? A good credit score is anything between 781 and 850. It means the person has borrowed money in the past and has been responsible by paying the right amounts back, and on time. A fair credit rating would be 601 to 660. A poor credit rating is a score of 501 to 600. Someone with this kind of score will battle to get a loan. Even if approved, they have to pay high-interest rates. A bad credit score is lower than 500. Having a bad credit score can affect certain areas of your life. These days employers even check your credit score before interviewing you – a bad score can affect your chances of getting a job. We all want to own a credit card. Being approved for a card, however, isn’t just about simply filling out the application and receiving your card. The banks and other credit card issuers have criteria that need to be met before credit can be approved. When you apply for your credit card, make sure you have a steady income and a good credit history, proving you can pay for your card purchases every month. Don’t accumulate debt – if you’re paying too many creditors, your lender won’t add to the list. 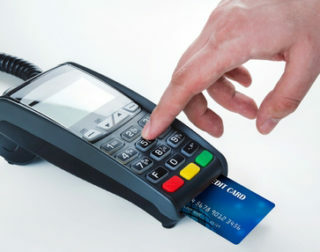 Getting a credit card will be subject to application approval from the bank or other providers. Each credit provider has their own requirements, but several factors will determine if you qualify for the card. Work at being financially responsible so that you are eligible for credit. Apply again, and with the convenience of online transactions, you’ll know in a minute whether you’re going to be the owner of a shiny new credit card. Much like drinking responsibly, use your credit card responsibly.